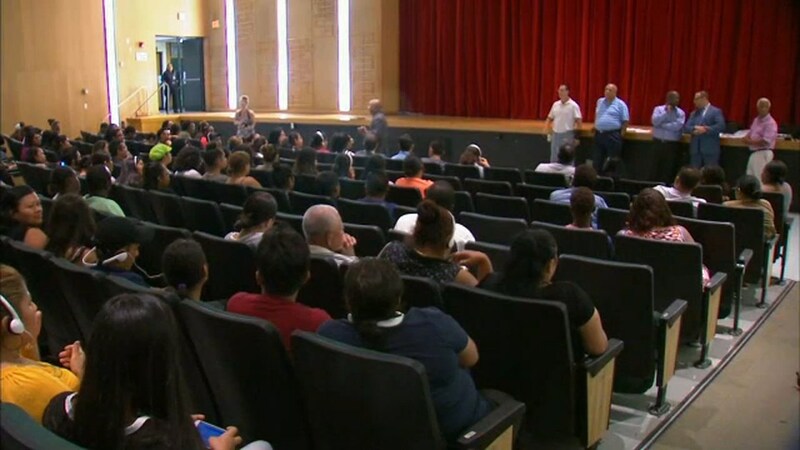 WESTBURY, Long Island (WABC) -- An emergency meeting was held on Long Island Thursday night to address overcrowding at a high school in Nassau County. School officials announced an agreement with Nassau Community College that would see that campus host a part of the incoming freshman class at Westbury High School for one year. Dozens of parents and their children attended the meeting inside the Westbury High School auditorium. Officials had been scrambling this summer to make space for the nearly 400 incoming freshmen, which is approximately 30% higher than normal.